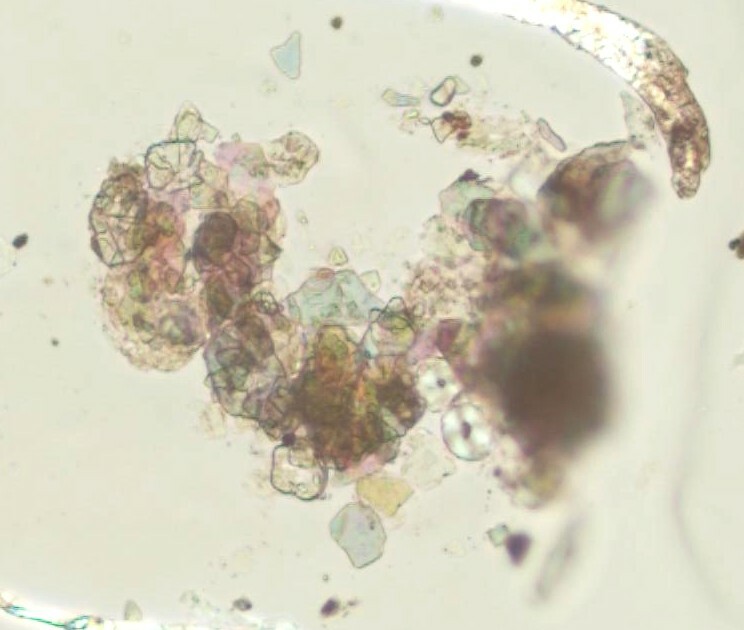 This agglomerated particle is from cosmetics. The flakes are pearlescent particles added to give sparkle. The colors shown by these flakes are thin film interfence colors and not the result of pigment or stain. The starch grains (white circles with black crosses) are a common carrier and filler particle used in cosmetics. Oils mixed with these materials and with the pigment complete the mixture. All of these materials may be found individually and still are most consistent with cosmetics.